Pegasus Glassworks Inc. has the in-house capability for engineering formulations, processing glass melts, shaping the glass using a state-of-the-art extrusion process, and drawing the extruded shape to various sizes and multi–fiber configurations. Pegasus has proven expertise and is proud of its history of working closely with companies of all sizes to engineer, develop, and produce a wide range of specialty glass products. Pegasus is equipped with eight proprietary, computer controlled, glass extruders. The maximum extrusion temperature of this equipment is 1000 degreesC (1830 degreesF). These stations have been designed to extrude various shapes of glass cross-sections to precise tolerances. The extruded parts may be made to a maximum length of 48 inches and diameters or widths of up to 3 1/2 inches. A great variety of cross-section configurations have been developed. Customers also have the option of supplying Pegasus with their own billets for extrusion purposes. Surfaces of the extruded part have a fire polished finish. The diameter dimension control typically is +/-0.020 inches along the full length of the extrusion. Normal tubing, as well as more exotic shapes such as rectangles or ovals, are routinely manufactured to similar dimensional tolerances. All products are annealed and certified through the original chemical compositions. Pegasus is equipped with thirteen liter platinum crucibles. Glasses are melted at temperatures up to 1510 degreesC (2750 degreesF). All melts are thoroughly homogenized and fined from bubbles with the use of stirring and pulling up to 30 inches of vacuum. Pegasus Glassworks, Inc. offers the service of .5 liter melts for evaluation purposes. Glass formulations are either provided by the customer or designed by our R&D Group to meet the specific glass parameters that a customer application requires. If a custom glass is needed, or an adjustment to a known glass is of interest, appropriately engineered glasses are formulated and melted in experimental (economic) batch sizes for evaluation. All glass melts are manufactured from ACS Grade raw materials unless specified. The batch mixture is carefully controlled and documented in order to insure quality in the finished glass, and repeatable uniformity from batch to batch. Evaluation and qualification of completed glass melts are accomplished using a variety of methods, including density, softening point, expansion tests and transmission. Glass melts are typically cast in cylindrical billets annealed and stored for extrusion into rod or tubing. Melts can also be poured directly into one of our two mold carts. Each mold cart has an opening which allows for 3 rods up to 45 inches in length x 1.25 inches in diameter. The rods are annealed in the mold cart and finally cut to size. Pegasus has three 23-foot draw towers. 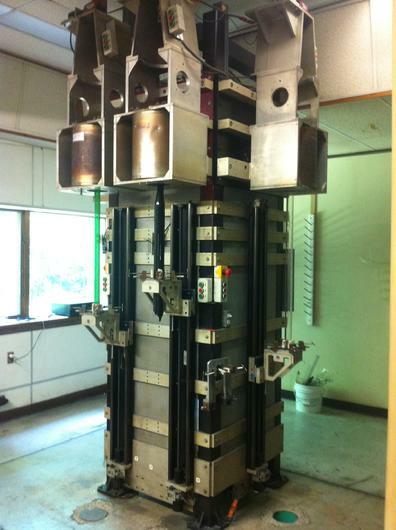 The uniquely designed towers are capable of drawing a wide variety of glasses and composite materials under vacuum or controlled atmosphere to precision size requirements. Dual axis laser diameter control devices control draw diameters to an accuracy of better than +/-0.25%. With the proper temperature setting and control, the extruded cross-section can be proportionally maintained during the draw operation. The maximum draw temperature of this equipment is 1500 degreesC (2700 degreesF). The drawn product is automatically cut to an accurate predetermined length or spooled, depending on the finished geometric requirements. Glass Draw products are inspected by a variety of in-house techniques to assure quality and conformity to the customer specification and traceability to the original batch chemicals. • Two glass tubes can be sealed together to produce a much longer tube. • A single tube can be end sealed leaving one end open. • Tube ends can be fire polished and retain sizing. 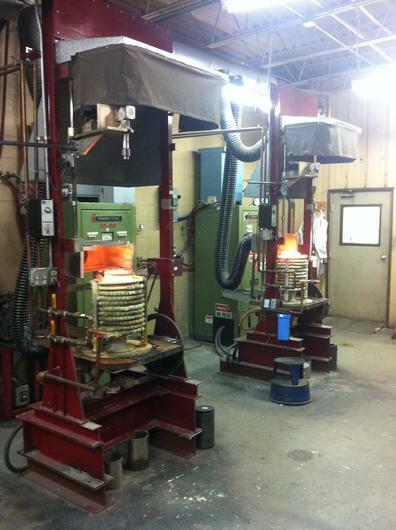 • Pegasus has the capability to do small repairs for platinum crucibles, stir rods and lids. • Pegasus offers acid etching using the following types of acids: Hydroflouric, Nitric, Acetic, De-rustit. • Pegasus can etch various types of metals and glasses. • A third melt station is currently under construction to help satisfy customer needs. • The raw chemical batch room has been moved into a humidity controlled room to help preserve and maintain quality of the raw materials.